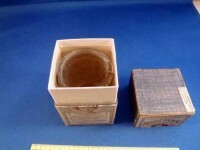 The History Blog » Blog Archive » Is this Amelia Earhart’s anti-freckle cream? 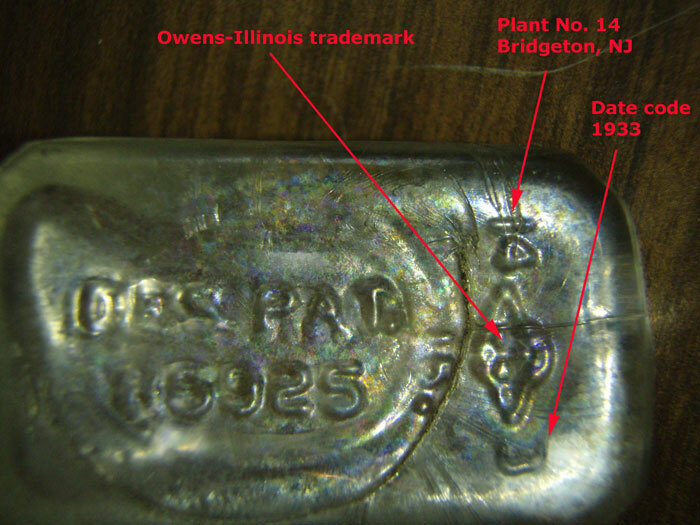 Is this Amelia Earhart’s anti-freckle cream? 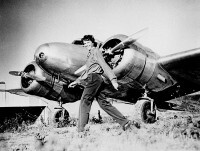 The International Group for Historic Aircraft Recovery (TIGHAR) has spent years testing one of the hypotheses explaining the disappearance of Amelia Earhart and her navigator Fred Noonan somewhere in the South Pacific on July 2, 1937. Based on her emergency radio broadcasts and reported finds of skeletal remains and airplane parts in the late 30s and 40s, this scenario posits that Earhart’s Lockheed Electra made an emergency landing on the uninhabited island of Nikumaroro, then known as Gardner Island, and that the aviator and her navigator survived the landing but died shortly thereafter. 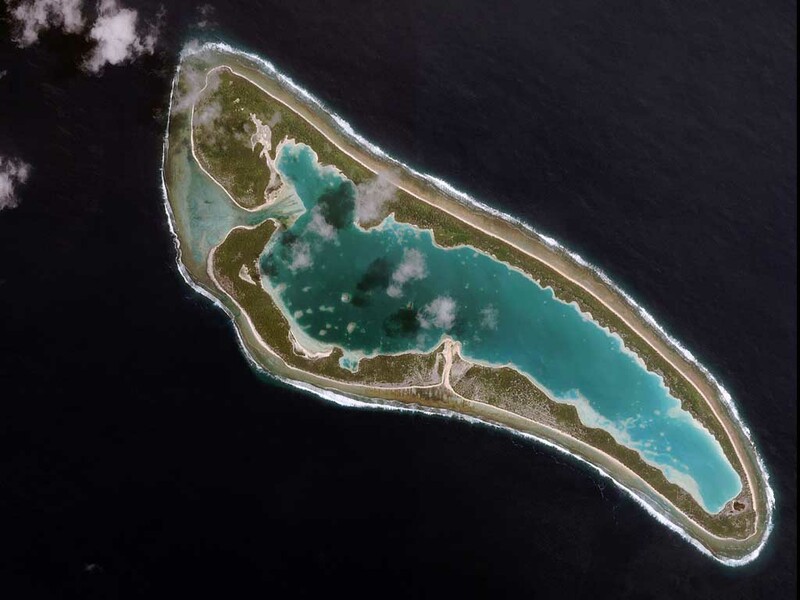 At the time of her disappearance, the US Navy considered Gardner and nearby McKean Island likely candidates because they were along the line of position Earhart mentioned in her July 2 broadcasts, but there was only one Navy ship, the U.S.S. Colorado, in the area and there were several conflicting reports to investigate, so Gardner was only cursorily examined by flyover. It was high tide when the planes flew over Gardner, and crashing surf obscured the northwest side of the reef where later residents would claim they had seen a wreck. Still, the pilots reported seeing “signs of recent habitation,” but they mistakenly thought the island was inhabited at this time; thus those signs weren’t sufficient to send a landing party. In October of 1937, British colonial explorers reported seeing the remains of a campsite on Gardner. Colonists followed the next year, and they reported seeing aircraft wreckage on the northwestern reef. During World War II, an American pilot reported seeing villagers on Gardner using aircraft control cable to catch fish. When he asked them about it, they said they had found it on the island when they got there. The colonists also found 13 human bones, a woman’s shoe and a man’s shoe next to the remains of a campfire on the southeast end of the island. The bones were sent to Fiji for analysis. They were examined by doctors who declared them the remains of an elderly Polynesian male and an adult male of European or mixed race. Although their facilities were limited, the doctors didn’t send the bones to Australia for more in depth examination. Instead they just lost them. All we have left of those bones now are their measurements, which turn out to not match the rudimentary gender and ethnicity analysis done in 1940. TIGHAR first picked up the trail in 1988, visiting McKean Island first and then Nikumaroro. The former was barren and dark, not a good candidate for an emergency landing. The latter has a perimeter reef that is smooth enough in some areas to land on and a bright blue inner lagoon that could be easily spotted from 1000 feet in the air. They also found airplane wreckage that had been repurposed by villagers when the island was briefly inhabited during the war. On later expeditions in 2007 and 2010, TIGHAR researchers found the remains of campfires, clam shells, fish, turtle and bird bones, bone fragments that appear to be human, pieces from broken and melted glass bottles, a small glass jar, fragments from a beveled mirror, a red chemical substance, the remains of a zipper and a jackknife that had been taken apart. There were other remains found that were clearly left behind by World War II-era Coast Guard forays, but the above items were from the 1930s. TIGHAR put the small glass jar back together and found that it is identical in shape to jars of Dr. Berry’s Freckle Ointment, popular in the early 20th century and guaranteed to eliminate the heartbreak of freckles. Amelia Earhart did have freckles, and sadly, she evinced some contempt for them. According to the biography Amelia: A Life of the Aviation Legend, even in the midst of her greatest successes — the ticker tape parade held in New York after she became the first woman to be flown across the Atlantic aboard the Friendship in 1928 — her freckles bummed her out. 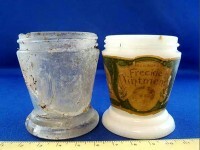 The jar is made of translucent glass, however, and all surviving pots of Dr. Berry’s concoction are opaque or opalescent glass. It’s also not exactly the same size as any of the other jars. It is possible that this was a special edition cream. 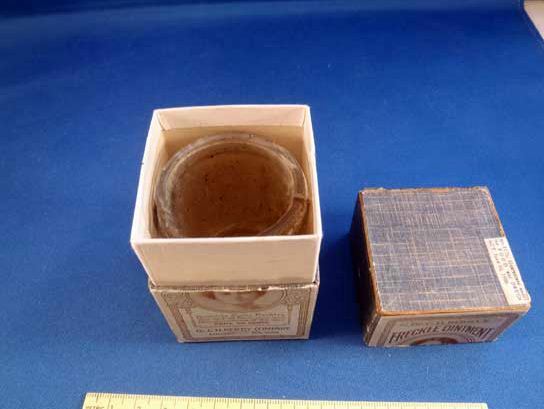 The reconstructed jar fits perfectly into a vintage Dr. Berry’s box that none of the other extant jars fit into. TIGHAR was able to trace serial numbers and marks on the other bottle pieces found. Some green glass fragments were once a bottle of “St. Joseph Nerve and Bone Family Liniment,” bottle patented in 1933. Some clear glass pieces come from a 1933 bottle of Campana Italian Balm, the best-selling hand lotion in the US in the 1930s. The evidence is circumstantial, but it points strongly to the presence of an American woman on Nikumaroro in the 1930s. 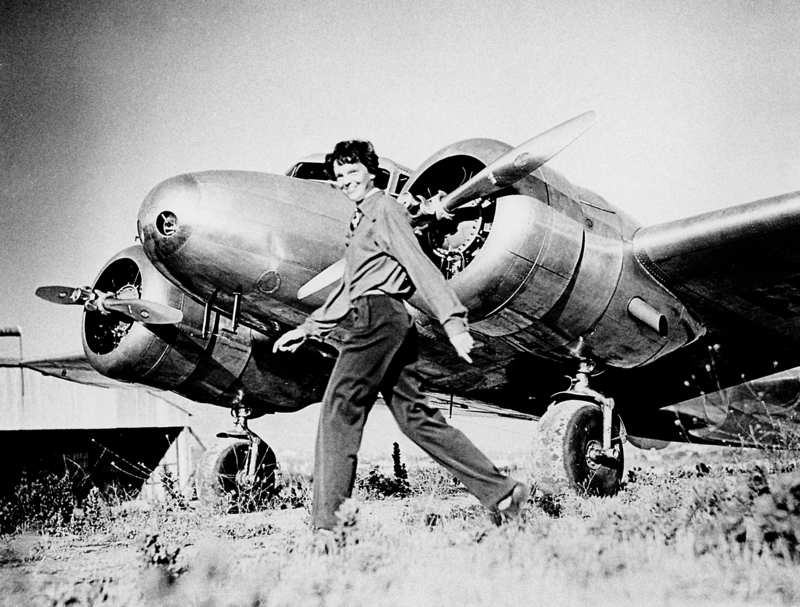 There’s no way to know for sure that it was Amelia Earhart unless researchers find identifiable chunks of Amelia’s Lockheed Electra or DNA evidence from skeletal remains that identifies her once and for all. 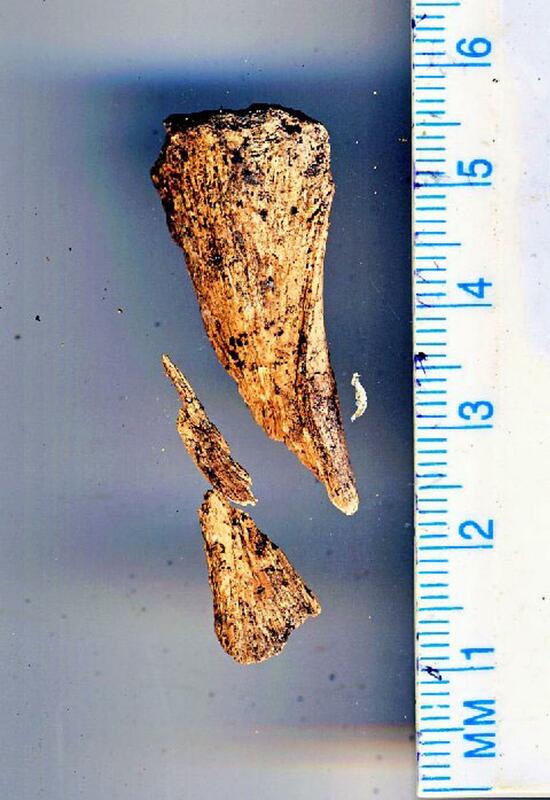 DNA analysis of the bone fragments TIGHAR found at the campfire site were inconclusive (pdf). TIGHAR, funded by private donors and in collaboration with the US State Department, will return to Nikumaroro this July. They will explore the deep waters around the island this time, hoping to find some airplane remains that the surf dragged off the reef. This entry was posted on Thursday, May 31st, 2012 at 11:36 PM	and is filed under Modern(ish). You can follow any responses to this entry through the RSS 2.0 feed. You can skip to the end and leave a response. Pinging is currently not allowed. Nope, although probably some of those creepy skin bleaching products would do the trick. There were lots of freckle-hating nostrums back then, though. They even get a mention a century earlier in Jane Austen. Sir Walter Elliot in Persuasion recommends Gowland’s lotion — a mixture of bitter almonds, sugar, water and mercury or lead (what good is a skin cream without deadly poisons?) — for freckle removal. I think it’s a type of cheese. Great, now he’s going to run out and buy some. The power of cheese compels you! “he latter has a perimeter reef that is smooth enough in some areas to land on and a bright blue inner lagoon that could be easily spotted from the 1000 miles in the air.” – I think you wanted “1000 feet” there It’s great to see TIGHAR’s ongoing search getting more press of late! I’m sure it’ll help their donations and that in turn will help them to be able to do a better search. D’oh. Right you are. She would have been quite the pioneer indeed if she had been flying 1000 miles high. Fantastic items from you, man. I’ve remember your stuff prior to and you are just too great. I really like what you have bought here, really like what you are stating and the best way through which you are saying it. You are making it enjoyable and you continue to take care of to stay it sensible. I can’t wait to learn much more from you. This is really a great website.